The Sumatran elephant is found only on the island of Sumatra in Indonesia. The population is decreasing with approximately 2000 elephants left in the wild. The rapid conversion of elephant habitat for human development has led to increased contact between humans and wild elephants, thereby resulting in conflict in almost all districts within Sumatra. In the past, these conflicts were handled by capturing problem elephants. Capturing elephants as part of a mitigation strategy is not a viable long-term solution and has caused a significant decline in the wild elephant population. In addition, increases in human-elephant conflict have led to retribution killing of wild elephants. 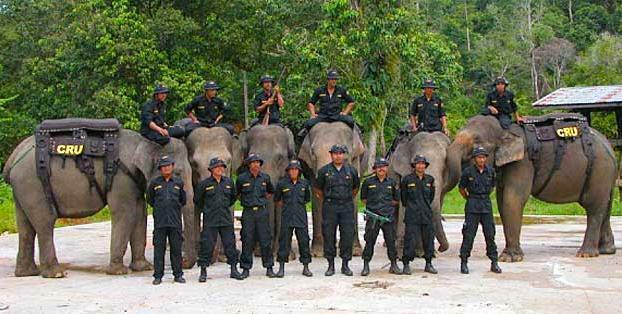 The Conservation Response Unit (CRU) incorporates captive elephants which have been trained for forest patrol, their mahouts who have been trained in forest monitoring, documentation and mitigation techniques, and forest rangers to address forest crime in a comprehensive conservation program that among other activities observes wildlife, herds wild elephants away from human settlements, and provides community outreach. This program provides a strong link between in-situ and ex-situ elephant conservation. 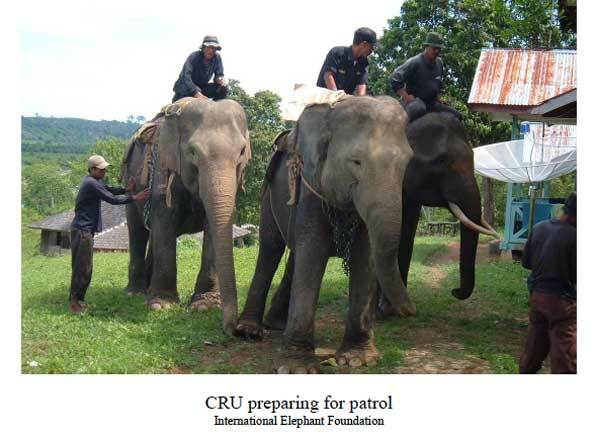 The CRU supports the conservation of wild elephants and habitat and creates opportunities for local communities to protect their property and support wildlife conservation therefore achieving positive outcomes for both elephants and people.